Out of the 7,107 islands we have in the Philippines, I’ve only been to a few and one of them is the city of Vigan located at the northern part of Ilocos Sur, Luzon. 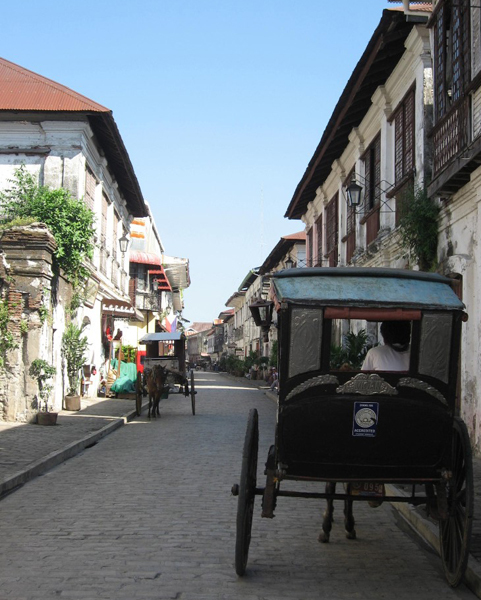 Around 10-11 hours of land travel from Manila, Vigan is one of the few towns left in our country known for their Spanish-style houses along Calle Crisologo. Walking through Calle Crisologo definitely gives you that old school vibe or feeling that you’re being transported back to the period of Spanish colonial time. 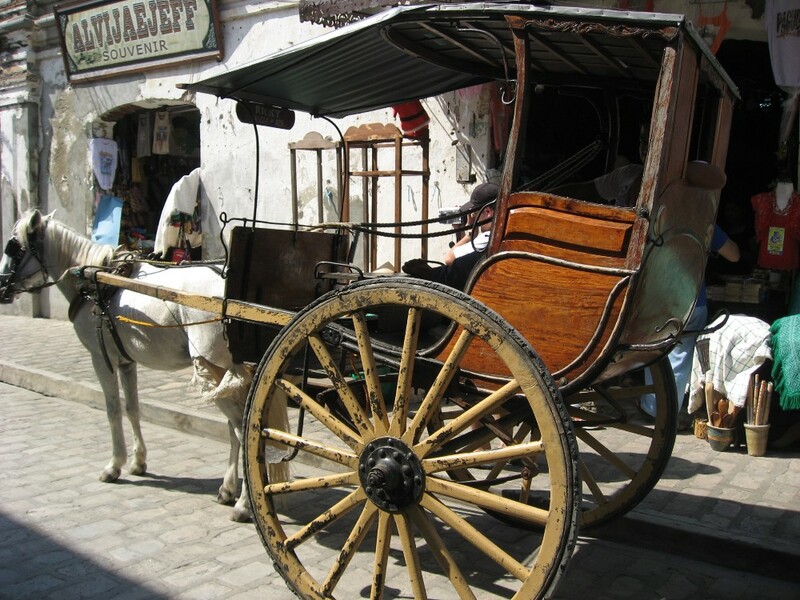 Calle Crisologo’s only allowed mode of transportation to pass by the area are horse carriages so as to preserve the beauty of its streets made of cobblestone. 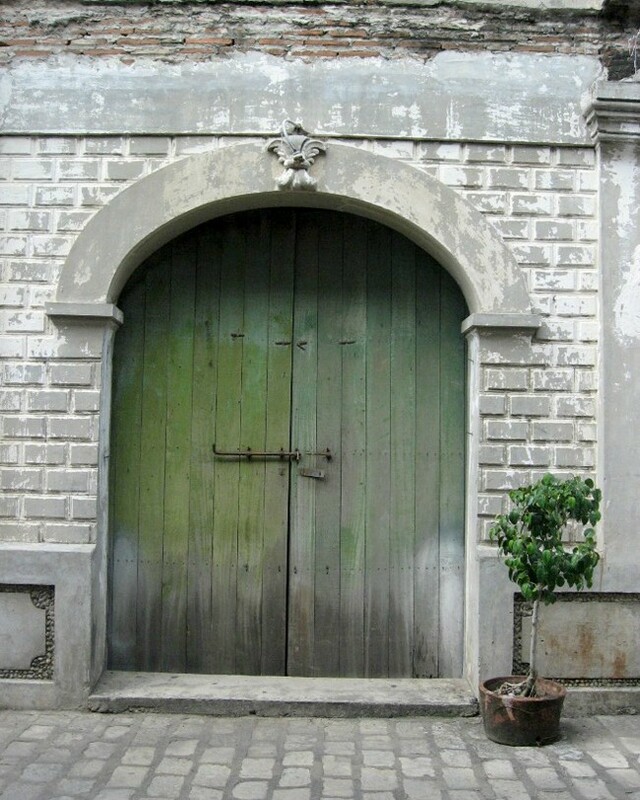 Houses have huge wooden doors and high ceilings. They also used capiz for the windows. Tourists like us will definitely admire the place for its beauty and architecture. 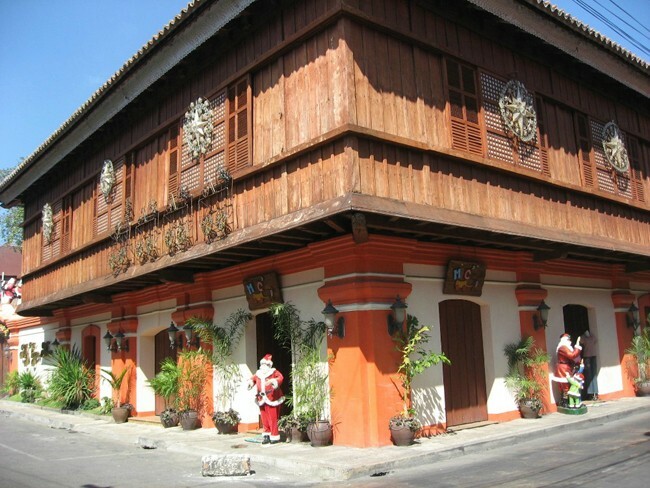 Some of the ancestral homes have been converted to stores, inns and hotels. This house for example has been renovated to give it a little modern twist. 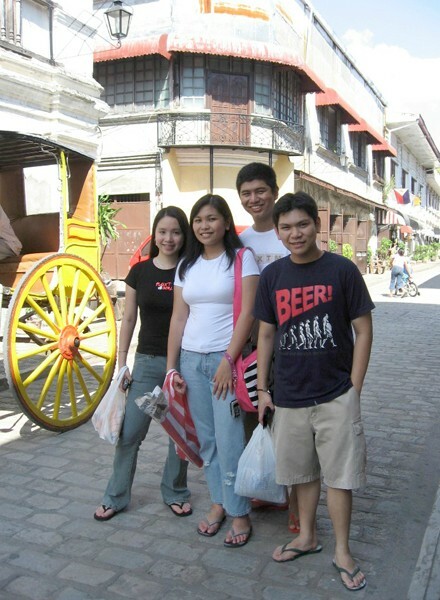 Here's a photo of me and college friends after shopping around Calle Crisologo. For the Catholics out there, drop by the Cathedral of St. Paul. 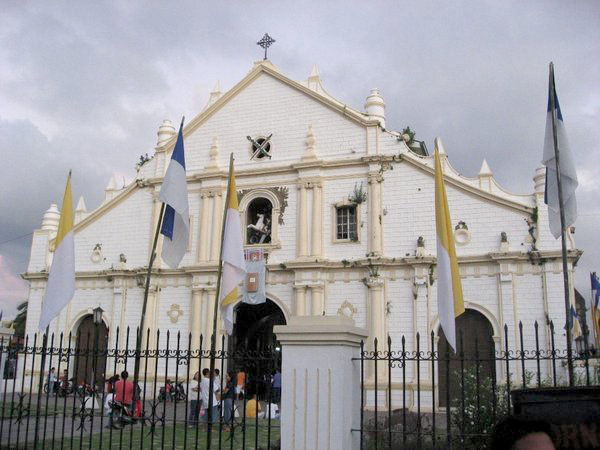 Its a few meters away from Calle Crisologo. 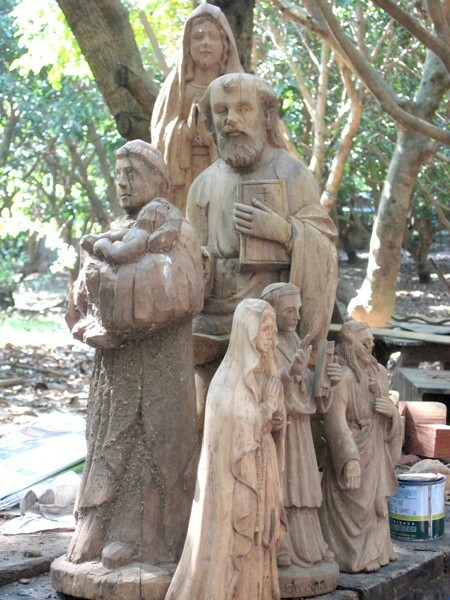 Eager to discover the art and heritage of Vigan, we took a side trip to Pagburnayan village. 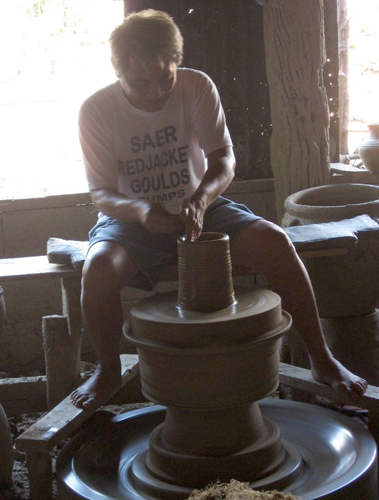 Burnay jars are hand-made from different resources found only in Vigan. They’re traditionally used for storage/fermentation. 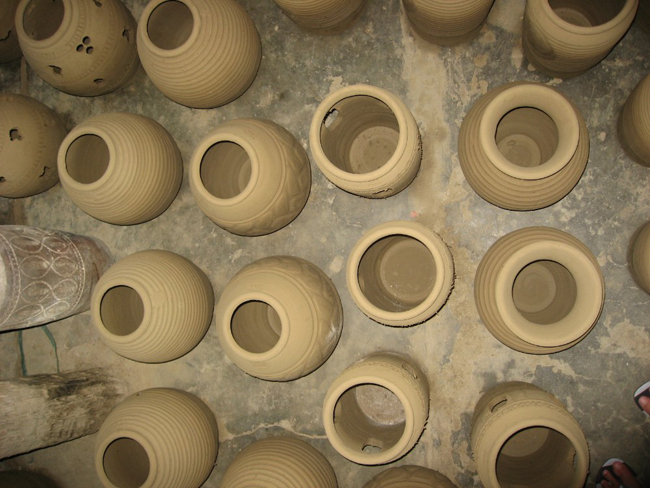 Here’s one of the store owners showing us how to make a jar/pot from scratch. 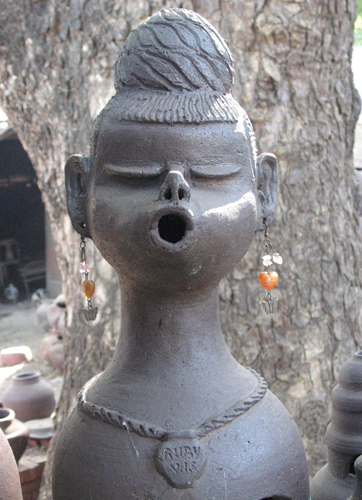 They come in different shapes and sizes, definitely worth taking home at least one for souvenir! 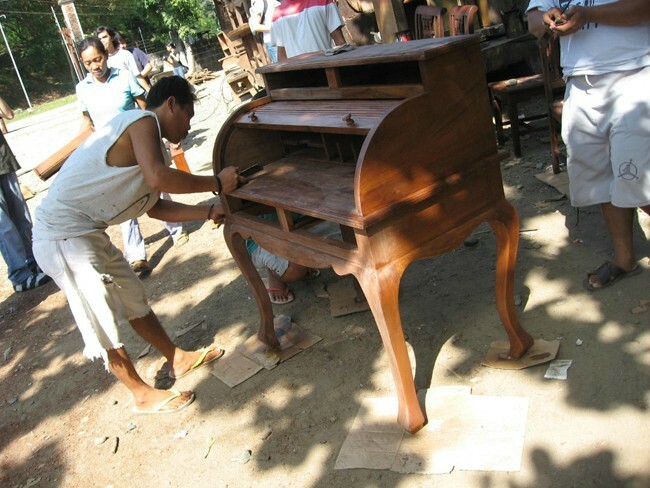 We found this shop that specializes in hand-made furniture/sculptures made of antique wood. 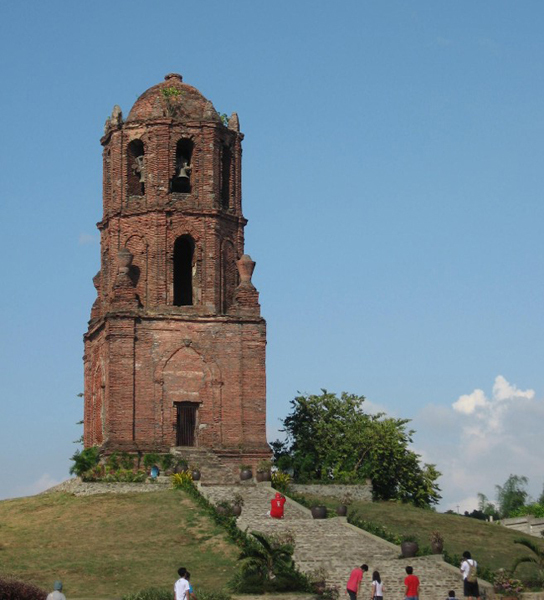 Seriously now, I’ve seen a lot of things already in Vigan and can’t believe there’s more! Last stop for the day was Baluarte. Owned by the local politician Chavit Singson, Baluarte is his own personal playground. This is where he keeps his private collection of animals found here and abroad. 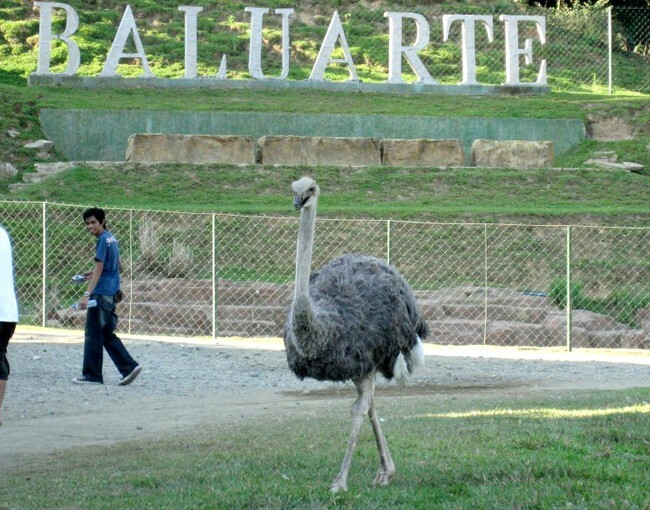 What I loved most about Baluarte is that some of the animals aren’t inside their cage. Meaning you are free to approach/touch them but with caution. Sleeping tiger. Don’t worry, he’s inside his cage. Haha. 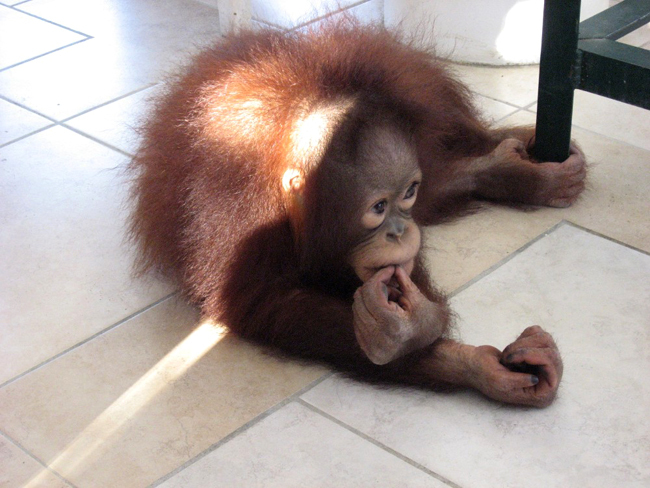 Cute monkey! Or wait, that's an orangutan right? Coming to Vigan was definitely an unforgettable experience. I can’t wait to go back! For those interested, you may book your flights (via Laoag) and Vigan hotels through Asiatravel.com!